The Omro community is dealing with rising water, from the Fox River, from the recent snow melt. Highway 21 is still closed at this time. Sand bags have been offered to residents since Monday. For now, it's uncertain when the river will crest. As snow continues to melt, however, the potential exists for the river to keep rising over the next few days. Residents who live near the flood zone say they're just hoping for no rain and good weather to help. "I live on the river, so this morning when I came to work I walked in the garage my foot went into the water, it is kind of rising," said Ken Bressers, the owner of Omro Pharmacy. Bressers says his pharmacy will be open, and his drive through is still in dry conditions. 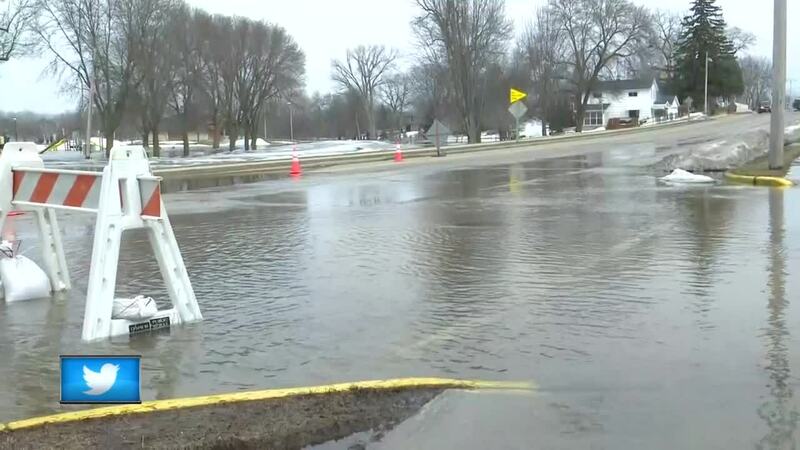 OMRO, Wis. — The Omro community is dealing with rising water, from the Fox River, from the recent snow melt. Highway 21 is still closed at this time. Sand bags have been offered to residents since Monday. For now, it's uncertain when the river will crest. As snow continues to melt, however, the potential exists for the river to keep rising over the next few days. Residents who live near the flood zone say they're just hoping for no rain and good weather to help. "I live on the river, so this morning when I came to work I walked in the garage my foot went into the water, it is kind of rising," said Ken Bressers, the owner of Omro Pharmacy. Bressers says his pharmacy will be open, and his drive through is still in dry conditions.